Cuba's Granma newspaper reports a Communist Party gathering had many questions about proposed economic changes. BY JUAN O. TAMAYO. [email protected]. 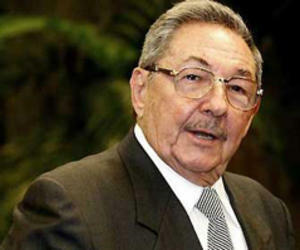 Cuba's Raúl Castro says the island ``has no alternative'' but to embrace the economic changes he has proposed, and claimed they are based on brother Fidel's ideas, according to the Granma newspaper. The Granma report Monday added that some of the changes had been subjected to ``repeated questions'' or ``a broad debate'' during Castro's appearance before 532 top Communist Party officials. The changes, listed in a 32-page document made public last week, are to be debated at the grass-roots level throughout Cuba before they are taken up in April at the party's first national congress since 1997. One of the proposals ``that drew the most questions'' requires the shutdown of state enterprises that lose money, Granma reported. ``The state cannot assume the costs of an enterprise that has lost money for 10 years,'' Murillo said in reply. Questions on when salaries could rise -- the official average stands at $20 per month -- ``came up repeatedly because this issue is expected to be one of the most debated among the people,'' Granma reported. The newspaper reported Murillo replied that the government must first cut its payroll -- 500,000 state workers are to be laid off by April 1 -- reduce excessive subsidies and increase productivity. There were also ``repeated questions'' about the planned unification of Cuba's two official currencies, Granma added. Most salaries are paid in pesos but Cubans need convertible pesos, known as CUCs and worth 24 pesos, to buy some food and imported items. Another proposal that ``caused a broad debate'' would change university admission to favor careers in science, technology, agriculture and teaching over the humanities.